New York (June 10, 2014) - Sumthing Else Music Works, the award-winning record label dedicated to licensing and distributing video game soundtracks, proudly presents ENEMY FRONT Original Soundtrack featuring the musical score from CI Games' new first-person shooter action game set during World War II. 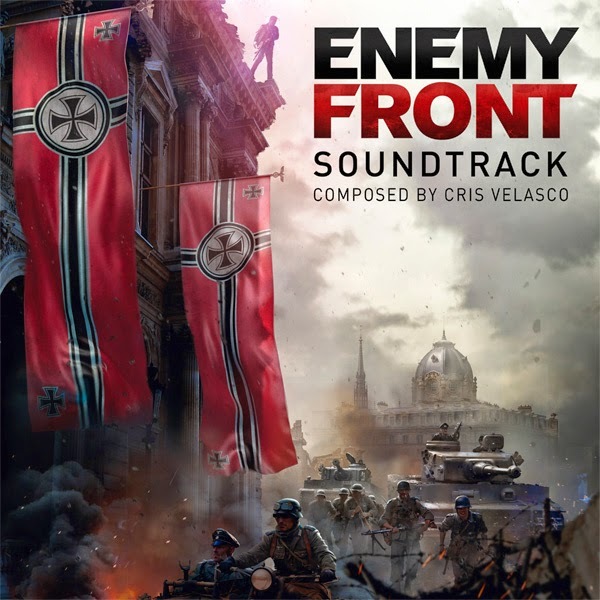 Composed by Cris Velasco (Company of Heroes 2, Mass Effect 3, God of War series), the ENEMY FRONT Original Soundtrack is available today from Sumthing.com, iTunes, Amazon.com and other digital music sites. Developed and published by CI Games and distributed by BANDAI NAMCO Games America, Inc., ENEMY FRONT is the first truly modern WW2 FPS, featuring stunning visuals and a richly interactive combat sandbox gameplay experience. Set against the visceral backdrop of breathtaking European locales, players take on the role of American war correspondent Robert Hawkins, as he fights hand in hand with Resistance Fighters opposing the Nazi juggernaut in France, Germany, Norway, and during the Warsaw Uprising. "At its core, ENEMY FRONT is a story of redemption and survival," said Cris Velasco. "This gave me an opportunity to write the score as more of an emotional journey, rather than a typical combat score. The Warsaw Uprising is something that hasn't been addressed in games like this before so I felt a responsibility to do it justice. I was honored to be asked to provide the music and I truly hope everyone enjoys the music as much as I enjoyed writing it." ENEMY FRONT will be released for Xbox 360, PlayStation 3 and PC on June 10 in North America and June 13 in Europe. For more information visit www.enemyfront.com.